A brocade on brocade set which gives a sassy touch to this modern ethnic set. 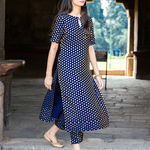 A straight cut silk kurta, having boat neck with front key hole cut teamed with narrow silk brocade pants and georgette dot dupatta with lace. Disclaimer: the fabric used is satin silk so there can be a slight change in the color of the actual product than the photos shown. 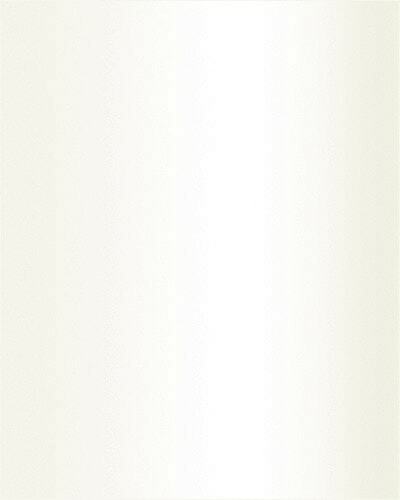 XS: KURTA LENGTH:45'', BUST-33'',WAIST-26'', HIP-36'', PANT LENGTH: 36''. 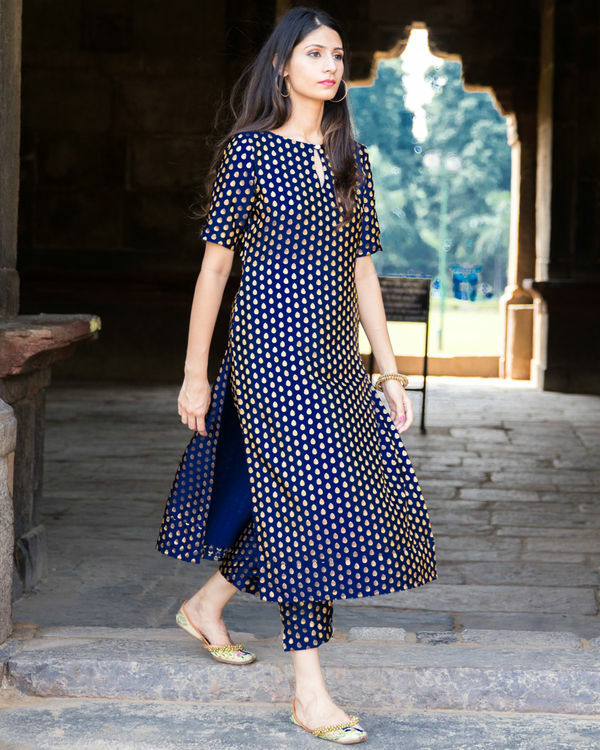 S: KURTA LENGTH: 45'',BUST-35'',WAIST:28'',HIP-38'',PANT LENGTH: 36' .